Nationwide Accident Repair Services is delighted to return to the Porsche Carrera Cup GB with Redline Racing. It will partner title challenger Dino Zamparelli for 2018, having supported both Tim Harvey and Daniel Cammish during their title-winning campaigns in 2008 and 2010, and 2015 and 2016 respectively. Nationwide has been a major sponsor in the Carrera Cup GB since it made its debut in 2007 with Tim Harvey. The fastest one-make championship in the country has significant appeal to the crash repair specialists, reflecting many of the company’s brand values. Performance, quality, hi-tech capabilities and success are attributes that could be applied to both Nationwide and Porsche and is a key contributor to why the relationship has flourished for over a decade. 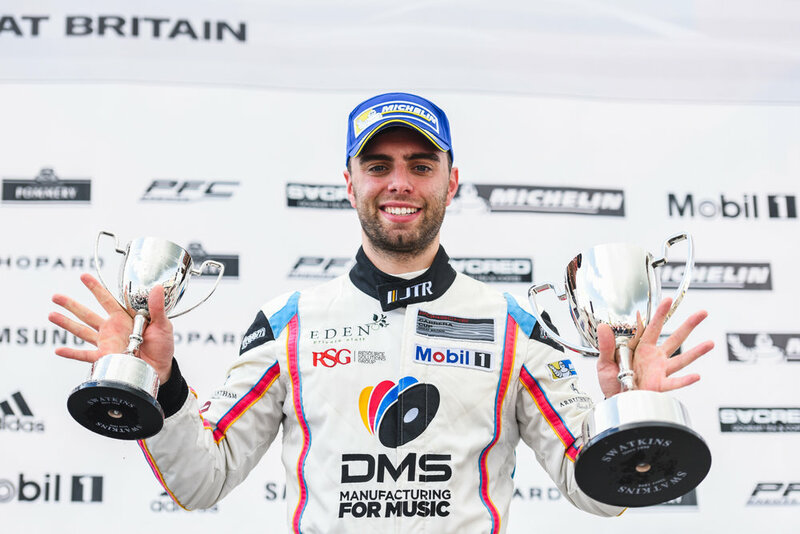 25-year old Zamparelli is a two-time runner-up in the Championship, finishing level on points with Charlie Eastwood last season, narrowly missing the title which went to Eastwood as he scored one more race victory than Dino. Nationwide is the most successful sponsor in the history of the Porsche Carrera Cup GB, taking not only the four Championship titles with Harvey and Cammish, but 55 race wins and 49 further podium finishes from 146 starts. Redline Racing, with ten titles, is also the most successful team in the series’ history, continuing a formidable partnership. "I'm really excited to be joining up with Nationwide in the Porsche Carrera Cup for 2018,” said Zamparelli. “Having watched both Tim Harvey and Dan Cammish reel in an awful lot of success over the years in Carrera Cup with both Nationwide and Redline I know I will have a winning pedigree behind me. It will be an honour to jump in and look to carry on that rich vein of form in the Carrera Cup." Bristolian Zamparelli has an impressive 25 wins and 68 podiums in his 173 career races. He has a wealth of single-seater experience, including FIA Formula 2 and GP3, and conducted a successful GP2 test before making the switch to Carrera Cup. Nationwide will also continue its association with double Carrera Cup Champion Dan Cammish, with the British Touring Car graduate becoming a brand ambassador. The Leeds-based driver will carry Nationwide branding on his crash helmet visor, extending the relationship for a fourth year.